I have been doing these rankings for several years now. This was by far the most difficult edition. Keep in mind that in the big picture, these rankings mean absolutely nothing! They are just for fun and discussion…the goal is to create a “buzz” in our local wrestling community. That said, let me make a couple of comments that I hope will preempt some of the questions that I anticipate will follow this post. 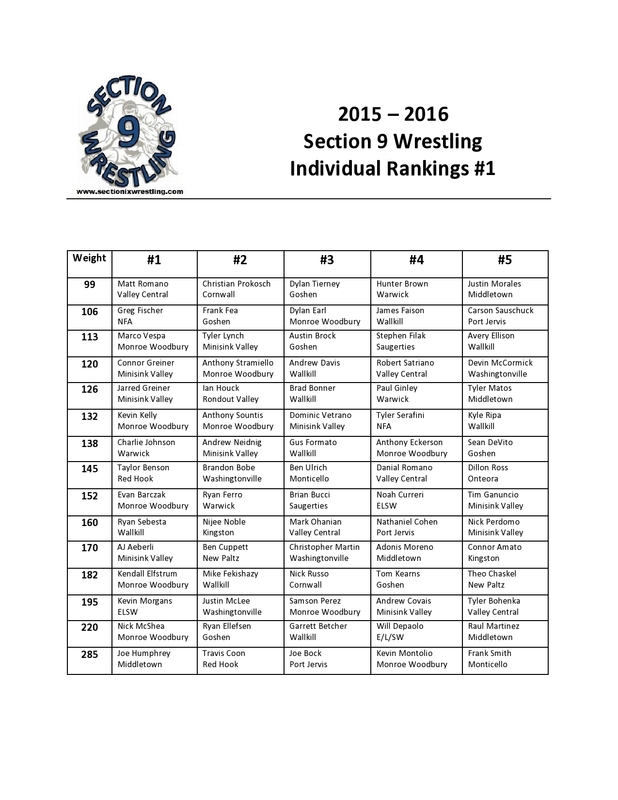 These rankings are only as good as the information that I have access to via Trackwrestling. I will only rank wrestlers in a weight class in which they have wrestled. This will obviously change after the +2 is added to each weight. I only ranked wrestlers who have competed this year. I am confident that names like Lainez, Cordero, and Masterson will appear on my next release. Yes I realize that Bucci pinned Ferro and Ellefsen pinned McShea. Please remember these are rankings not seeds. For those who think that a head-to-head victory should automatically determine the order in a ranking, please refer to the NCAA where unranked Kaid Brock recently pinned defending NCAA champion Cody Brewer. In the week following the match Flowrestling updated their rankings – Brewer was #3 and Brock was #11. My rankings are not a slight towards Bucci or Ellefsen; it is actually a tribute to the entire body of work from Ferro and McShea, 3rd and 2nd in NYS last year respectively. Did I mention these are just for fun??? If I have made any glaring omissions, my apologies. 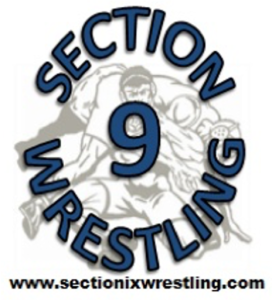 Please feel free to email me at sectionixwrestling@gmail.com or just leave a comment below. Enjoy! You work so hard at this Mike and it is impossible to get everything! You do a damn good job and we thank you for all your efforts. All that matters is what happens in the end. Thank you very much! I enjoy doing it!